There is a joke about people switching between 3-4 apps all day. This much borders on the truth and the reality of our online lives. Well, why don’t we make the best of the three or four applications by having the best of their modded versions on our phones? Modded applications offer added features on top of the already existing features of the official app without compromising on the basic framework and working of the main application. Let’s take a look at the top 4 applications and their extended qualities in their mod form. The photo and video-sharing application boasts of a user base of 400 million users. 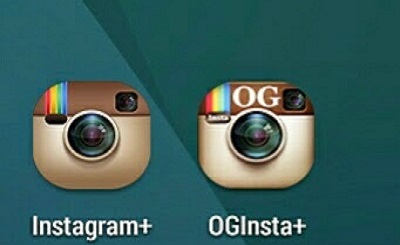 There are two modded Instagram applications; OGInsta+ and Instagram+. These applications have added features that include the ability to download photos and videos from Instagram and save them on your phone. With OGInsta+ you can view the profile picture of another user by long-clicking the user’s photo. This feature is not available in the official application. OGInsta+ has the capability that lets you share links directly without the need for copying it; a feature that is useful when mass sharing. Its undoubtedly one of the most used applications in the world. Why not make your WhatsApp experience more worthwhile with a range of modded WhatsApp applications. WAWhatsapp, OGWhatsapp, FMWhatsapp, MDWhatsapp and a host of other mods. Though different, some of the major extra features the applications offer include the ability to change the application icon, copy a friends status and have group statistics for your groups to know who is not active. The application has an increased upload size limit from 16MB to 700MB for videos and an added feature to send up-to 90 photos simultaneously instead of 10 as is in the official application. What’s more is the added feature where you can hide your online status, disable blue ticks and even disable double ticks for maximum privacy. These WhatsApp modds can be installed alongside the official application giving the user the freedom and ability to have more than one WhatsApp application running under different numbers. 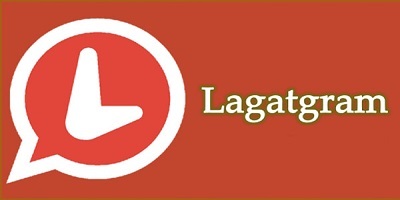 Lagatgram is the sister application mod for telegram. This application takes the Telegram experience to the next level with a multitude of features that include the possibility of hiding the second tick that lets other users know that you have received and read a message. Others include being able to select different theme colors, set your own maximum upload size for your media, show a phone’s layout on tablets and hide the typing status in groups and individual chats. This application comes with a default Red color unlike the boring light-blue color of the official Telegram application. FacebookMod delivers a combined Facebook and Messenger application all rolled into one application. This eliminates the need to have two applications that do almost the same work. The modd Facebook application does not lose any functionality and also maintains the smooth and seamless calling functionality that is the main feature of the Messenger app. Modded applications are the way to enjoy extra features on your social life even before the official company integrates these added features to the applications. Most applications you find online have a modded version somewhere on the internet. You just have to look. Good news to all Facebook Live publishers. Facebook has now made it possible for Pages to go live via a web browser.